As we're interested in pinball machines and everything related, we've visited quite a lot of shows already in Europe. Here's an overview of these shows. That way one has an idea what's available at these shows. We usually concentrate on the pinball machines at these shows, some of them have a lot more of different things available..
Review of our visit to this open air jukebox show. The jukebox and lifestyle show had changed its concept a bit this year. The European Pinball Championship was organised in Belgium this year ! One of the largest pinball shows in France. 2013 edition of the indoor jukebox show. I visited this incredible museum in the center of Paris. We visited the pinball museum Extra Ball in Neuwied, Germany and were impressed. This year we visit again Netherlands largest jukebox show. After many years we finally visited this jukebox and retro show again. Review of our visit to this indoor collectors show in Rosmalen, Netherlands. We drove for a weekend to Italy to visit the Italian Pinball Championship 2010. Because we had such a great time last year we decided to go again this year. Road trip ! Our yearly visit to this yearly jukebox show in Belgium. Dutch pinball championship 2009, organised by the Dutch Pinball Organisation. Italian Pinball Championship 2009 was held near Milan. This show moved from Hasselt to Genk this year. Review of our visit to this open air collectors show. The Belgian Pinball Championship was organised again this year at this show. Review of our visit to this collectors show. 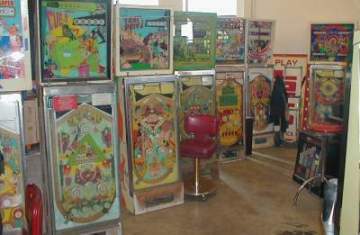 It was time for a new bbq pinball party..
Review of our visit to this collectors show at the Autotron. Review of our visit to this collectors show in Mechelen, Belgium. Some pictures of this show in France. Review of our visit to this yearly jukebox show. Review of our visit to this (rainy) outdoors jukebox show. 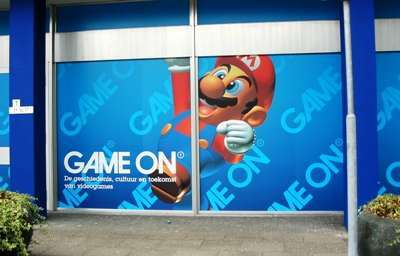 The belgian distributor invites people to promote their new games. Review of our visit to this arcade-related trade show in London. An overview of the Belgian Pinball Open Championship we organised. We repaired the pinball machines so they could be used for the championship. An overview of the yearly jukebox and collectibles show held in Rosmalen, Netherlands. We organized a pinball party to celebrate the launch of our new gameroom. The Collector Fantasies show in Mechelen, 2004. The Collector Fantasies in Hasselt, 2003. Visit to the GameOn exhibition about the history of computer games. We organized a bbq with a lot of pinball machines available to play. Dutch pinball championship 2003, organised by the NFV. As we became the first support point in Belgium for the Dutch Pinball Organisation, we invited everone to our house to play pinball. Jukebox musea in Belgium and the Netherlands. A visit to the largest collection of pinball machines in the world, in Las Vegas.